After what seemed like a slow start Japanese label Guruguru Brain really seems to have taken off this year with a string of releases from different parts of Asia. In the coming month or so I hope to be reviewing quite a few of them, culminating in seeing quite a few of the bands on the label’s roster at the Liverpool PsychFest; where the label are hosting a stage on the Friday night. 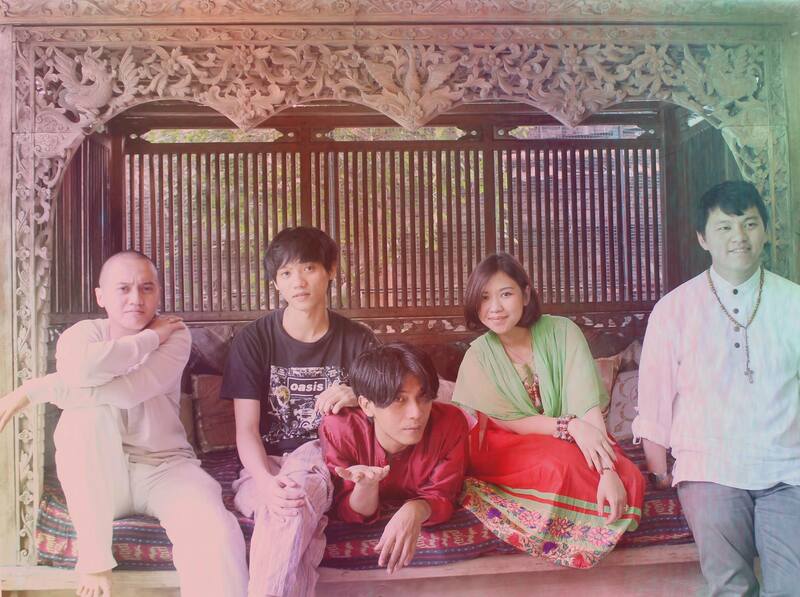 Sadly one of the band’s that won’t be there is Ramayana Soul, a five piece from Jakarta in Indonesia; founded by vocalist and sitar player Erlangga Ishanders back in 2006. Now ten years later, and thanks to Guruguru Brain, the band’s music is being introduced to a wider audience. I have to admit that this album didn’t click with me at all the first few times that I heard it, something that is probably indicative of the variety and depth of the music on offer here. Now I’m well into my fifth or sixth listen and the complexities of the album are now beginning to reveal themselves to the extent that it has become one of my favourite albums to listen to during the summer break. The track that first blew me away was ‘Rhaksasa’, with its fantastic organ intro and unique take on a sixties East Coast vibe. It sounded like the summer of love put through a very different prism with vocals that were much more Indonesian in tone but with hazing psychedelic rhythms and fuzzed up guitar which really made me sit up and take notice and, if I’m honest, take the album far more seriously. From there I felt that I was much better equipped to listen to the album more closely and have been sonically rewarded as a result. Opening track, ‘Aluminium Foil’ opens quietly with subtle and quite beautiful piano and organ, easing the listener into the album and settling into a lovely lilting and harmonic rhythm complemented by Ivon Destian’s seductive vocals. These are interspersed with the much more in your face and chaotic vocals of Erlangga Ishanders. There is a great bridge of psychedelic fuzziness before Destain takes it home in like a siren through the mist. Next up is ‘Jaya Raga Mira Ngga Bhineka Tunggal Ika’ a short track which is as complex as it is chaotic with a heady mix of instrumentation and vocal that takes a few listens to navigate through. This leads nicely into ‘Perlahan Terjatuh’, a slow and more considered track that is essentially a duet between the two vocalists. After the aforementioned ‘Rhakassa’, which is where the album really takes off for me, comes ‘Demensi Dejavu’. As with the first track there is a fast/ slow feel to this number with shouts and freak outs interspersed with music that is melodious and alluring. This for me is where the heart of the album lies in the mixture of Eastern and Western psychedelia, which in most of the tracks is blended is a way that is both seamless and dissonant. At times, though, one or the other becomes dominant, such as ‘Mawar Batu’, which begins as a beautiful raga played solely on sitar…a lovely meditative interlude before a tabla and vocals are subtly introduced. The longest track on the album at over twelve minutes this is really the centre piece as a vein of psych guitar/ bass/ drums gradually run through it giving it another dimension and provide a tension within the music that enhances it wonderfully; and at one point threatens to take over during a particularly freaky bridge before the track gradually falls back gradually shedding instruments until it takes it home in one unholy cacophony of acoustic and electric sound. After such a massive track it would be easy to fall back into something that it something of an anti-climax, but ‘Terang’ manages to overcome this. A track that is much more concise, it again builds slowly from just sitar before breaking out into a psych freakout that for me summarises the appeal of this album perfectly. Closing the album is ‘Dawai Batu Gadjah’, a much more meditative number that brings the listener nicely down into a state of blissful serenity. As I mentioned at the beginning, this is not one of those albums that grabs you straight away and demand you listen to it. It is far more subtle than that. The mixture of Eastern and Western psychedelia (if that’s not too crude) means that you really have to find a way to access it before really delving into its intricacies. Once this is done you can really come to appreciate the way in which diverse genres have been brought together in a way that feels deliberate and natural, even when the result is quite dissonant. For me, then, this Ramayana Soul album is another example of how Guruguru Brain is introducing new and innovative music that is both Asian and psychedelic at its core; and for that I thank them. First Press of 350 Black Vinyl with Guruguru Brain’s special made Japanese obi available from the label’s bandcamp here.